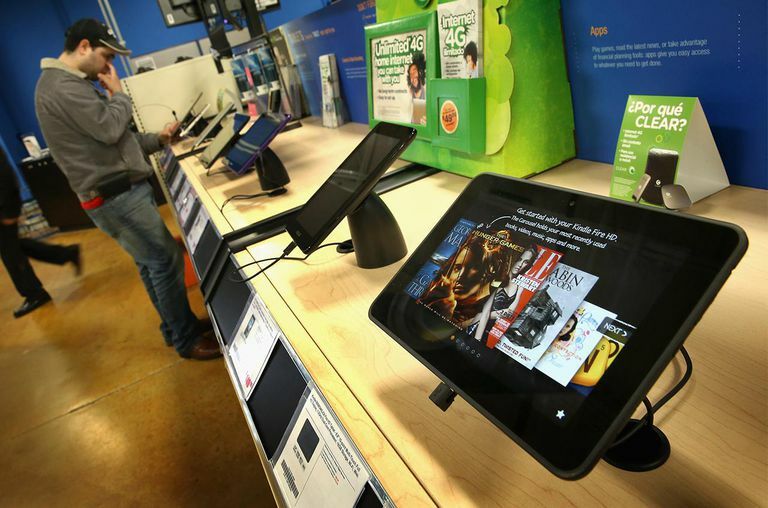 Tablets are the latest trend for mobile computing. They bridge the gap between laptop computers and mobile smartphones in terms of size and functions. They are great for web browsing, email and watching movies while traveling. Many people also use them as a portable gaming platform. They can even substitute for some laptop tasks when performance is not really required. This guide will look at the key items and features that you want to look at before you buy a tablet PC. Tablets are designed to be mobile and because of this size and weight are important. After all, you will be holding a tablet for long stretches of time so you don't want it to be too difficult to hold or too heavy. The lighter the better but it shouldn't compromise durability to be extremely light as it is inevitable that it will be dropped. Thickness is a key measure as it determines how it fits in the hand but dimensions also matter. A top-heavy wide tablet may be difficult to hold in the portrait mode. Since the display is also the major interface for a tablet PC, the screen plays a very important role in your buying decision. Factors to consider are size, resolution, viewing angles, brightness, and coating. The size determines how big the tablet will be but when tied to resolution can also determine how easy or difficult it is to read text on the device. The resolution also matters if you are trying to watch true HD media on the device. A minimum of 720 lines is required in a portrait orientation. Viewing angles are important if it will be viewed by more than one person or at odd angles at times. Brightness is something to consider if the tablet will be outdoors frequently. The brighter the screen, the easier to see when there is lots of glare. Coatings should be durable so it won't show scratches and be easy to clean. Since the majority of tablets will not be running the same operating system as a desktop or laptop computer, the choice can make a huge difference. Each operating system has its benefits and drawbacks. The key is to look at how it will be used to determine which OS may best suit your needs. If you want it to be just like a traditional PC, then Windows may be best but even this may have issues. Media watching and gaming are probably best served by iOS. Finally, if you want a more open platform with better multitasking, then Android might be the best choice. Beyond the OS itself, buyers should also consider the types and number of applications available for each platform. As tablets are mobile devices, their ability to connect to the Internet is pretty critical. There are two types of connectivity to be found in tablets: Wi-Fi and cellular or wireless. Wi-Fi is pretty straightforward as this is for access to local Wi-Fi hotspots. What matters here is which forms of Wi-Fi they support. Any tablet should support 802.11n. The best option is to support both 2.4GHz and 5GHz radio bands. Cellular is a bit more complicated as one has to consider carriers, coverage, contract rates and whether it is 3G or 4G network compatible. Bluetooth may be used for local peer to peer connection between tablets or for peripherals such as a keyboard. Since many people will likely carry their tablet throughout the day, battery life is a pretty important feature. Battery life is hard to judge for tablets as different applications can draw very different power loads. There are two standard methods for measuring battery life. The first is through consistent web browsing while the other is based on watching the video. For the most part, these two are very similar but video tends to use a bit more power. Of course, if you are multitasking heavily or playing games, expect battery life to be much shorter than advertised. A good running time should be at least eight hours of web browsing or video playback. The processors used in tablets can vary widely. Much of this has to do with the way the processors in most are designed and licensed. Most companies will just list the clock speed and number of cores. Buyers will often need to know a bit more than this as the architecture that the chip is based on can have big implications on the performance, battery life, and size of the tablet PC. Unfortunately, this is a fairly complex subject so it is recommended to read the full Tablet Processor Guide for further information. While most people will not be carrying around as much data on a tablet as they would on a laptop, the amount of space on the tablet is still a major thing to consider. All tablets use solid-state storage because of its ability to use very little power, take less space and higher durability. The downside is limited storage space. Most tablets come with between 8 and 64GB of space which is extremely small compared to a laptop. For those just browsing the web, streaming video and reading books, storage space won't be too critical. If on the other hand, you are storing high definition movies or lots of games, consider getting a higher capacity model so you don't have to constantly shuffle what you want on your tablet when away from a PC. Tablets with flash memory slots can easily have their storage space expanded compared to those that don't feature this. Tablet storage can also be supplemented by cloud storage but this is only accessible when the tablet is connected to the internet.